Popdose Interview: Joe Weisberg and Joel Fields of "The Americans"
If you’re yearning for espionage intrigue and Cold War thrills, you can’t go wrong with The Americans, FX’s dramatic series about KGB agents living deep undercover in the United States. Set in the early 80s, when Ronald Reagan ratcheted up the tension between the U.S. and the USSR, The Americans stars Keri Russell (ah, Felicity) and Matthew Rhys (Brothers & Sisters) as Nadezhda and Mischa, two KGB agents posing as an American married couple in the Washington suburbs. Recruited as young adults, the two were smuggled into the U.S. and they assumed the identities of Elizabeth and Philip Jennings. Elizabeth and Phil have been “married” for 15 years, and in that time they’ve had two children, daughter Paige (Holly Taylor), and son Henry (Keidrich Sellati). They’re your typical American family, although Paige and Henry have no idea that their parents are the enemy of the United States. At the outset of the series, Elizabeth and Phil get new neighbors, the Beeman’s. 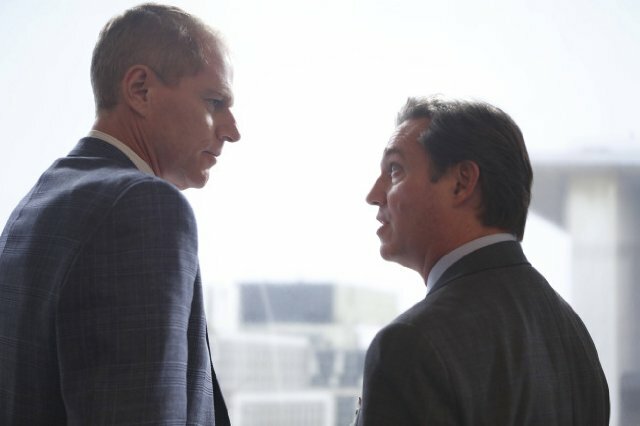 Husband Stan (Noah Emmerich) is an FBI agent recently assigned to counterintelligence and helping capture illegal agents in the U.S. (aka, people like Phil and Elizabeth). The way the show makes you root for the bad guys and cheer with the government fails is just one of the many layers The Americans offers on an episode by episode basis. This is not just your typical cloak and dagger show, it is also a thought provoking examination of marriage, loyalty, love and family. The Americans is a finely crafted, with enough twists and turns to keep you on the edge of your seat. The series is blessed with a superlative cast that also includes Richard Thomas, Maximiliano Hernández, Annet Mahendru, Alison Wright, Susan Misner and Margo Martindale. It was created by Joe Weisberg, a former CIA officer who left the agency to pursue writing. The career change has paid off for him. The Americans is produced by Dreamworks Television and executive produced is Graham Yost, whose long list of credits includes HBO’s Band of Brothers and FX’s own Justified. I recently had to opportunity to speak with Weisberg and his fellow showrunner/executive producer, Joel Fields. We discussed the origin of The Americans and what went into creating this addictive, inspiring show. POPDOSE: Joe, explain how this series came to be. POPDOSE: What made you want to set it in the 1980s? WEISBERG: Well it seemed to me that the first problem with the incident in 2010 was that we (the U.S.) weren’t really enemies with Russia. And it seemed like there wouldn’t be any real stakes to the show, that it just wouldn’t be that interesting. Whereas if it got moved back to the Cold War, everybody was mad at everybody, everybody was scared of everybody. It just seemed like the conflict was a lot hotter. And also, of course, Ronald Reagan. POPDOSE: How did Graham Yost and Joel became involved. WEISBERG: I’d done a previous pilot that I’d worked with Graham on; he also hired me to work on Falling Skies. So Graham came on board and started working on (The Americans). And then, after we’d made the pilot, we needed somebody to run the series with me, because I sure didn’t know how to run a show, and Joel Fields came aboard. POPDOSE: Joel, as a seasoned veteran, so to speak, what was it about The Americans that appealed to you? I just loved the material. I loved the metaphor of the material, but I loved also that it was entertaining and it seemed both rich and educating and seemed to have enormous creative possibilities. The other thing was, then everybody started talking to me. I started to get a deluge of phone calls about Joe Weisberg. And they essentially went like this: “You will so enjoy getting to know Joe. You will so enjoy working with Joe. He’s such a good human being. He’s a good person. He’s not only talented he’s just a great guy. You guys deserve each but other.” I started to realize, I was being fixed up. POPDOSE: In a series as intricately plotted as The Americans, how much of the first season was outlined in the writers room before you went into production? WEISBERG: That’s an interesting question. With both seasons, Joel and I have taken a lot of walks before the season and come up with a lot of ideas. Then we go into the writers room and start picking those, some of them stick and some don’t. I would say (in season one) it was just a mix of a lot of our initial ideas. It sort of gets outlined as you go. FIELDS: On the one hand we have a very detailed sense of where we’re going and have all the arcs in place, and a lot of the story moves in place. But we also feel like they’re not immutable. So there are certain things we knew for certain last season were going to happen and when they were going to happen and… they did. We knew Clark was going to marry Martha, we knew what was going to happen to Nina and where, when and why she was going to have her turn, and how that was all going to affect her and where that was going to drop in the story. But there were other things about the relationships and plots we knew for certain also that wound up that unfolding differently, to our happy surprise, as the season fell into place. Flexibility is really the key, because you can be working on any single episode and you have to be open to anything even if it changes your plan whole plan. POPDOSE: With such a fantastic cast, are there any examples you can give of Matthew, Keri or Noah bringing something to their characters that you didn’t imagine and you later incorporated into the show? WEISBERG: That’s an interesting question. We talk about this all the time about how they surprise us even on a scene by scene basis. We write scenes that we imagine in our heads a certain way, and when we see what they do with the scene on film and it’s just something different. It’s better and richer, and surprising, and we just love the scene and are moved by it in a way we hadn’t expected. But it’s hard to pinpoint into a specific characteristic of the actor. POPDOSE: As The Americans is a period piece, what has been the greatest challenge in writing these episodes? WEISBERG: I think Joel’s laughing more about the challenge of shooting these episodes. POPDOSE: Well that is my follow-up question. FIELDS: Well there’s an emotional challenge, as Joe likes to point out, which is acknowledging – Joe and I both grew up in this period – acknowledging that it’s a period piece. We just think, “What do you mean it’s a period piece. This was just when we were in high school.” But boy, shooting them is such a challenge, Scott. Any exterior, every parking meter, every sign, every car that goes by… even in distant out of focus you could get a minivan. It’s a constant struggle to get it right and it’s extremely expensive. Just as a practical level on a normal show, if you’re shooting on a block of a street, you rent that block and you film that block. On our show, you have to rent every block that can be seen in every direction, direct it with cars, put in period clothing, and period extras and period props, make sure everything in every store window is appropriate. It’s endless. Maybe because we grew up in that period, you know what’s right when you see it. And we’ve got an amazing art department and producing director, wardrobe department; it goes on and on, the people who focus on the details of the show. WEISBERG: It’s a little hard not to go overboard, because we love the period. Part of us wants to make every car an AMC Pacer, but we try to control ourselves. POPDOSE: Do you run into problems where you have to do post production work to remove stuff? Or have you found a way to remove everything practically on set? FIELDS: And to put stuff in, too, like the Capital Building whenever they’re supposed to be driving around DC. Interestingly, today we were not only putting in period D.C. Virginia, but then we were removing buildings that had not been built in 1983. POPDOSE: One final question: Joe this is your first series as a creator, what has that experience been like? WEISBERG: The first season I was very glad to be doing it. I felt very privileged to be doing it, but it was very hard. I found it very exhausting and very, very stressful. In season two I’m having a much better time, I’m having a lot more fun and I feel that I’m just happier. I’m soaking it up and enjoying myself. I feel that a lot of the stress is off. It’s still stressful, but the experience is just much better, and I really starting to love the job. 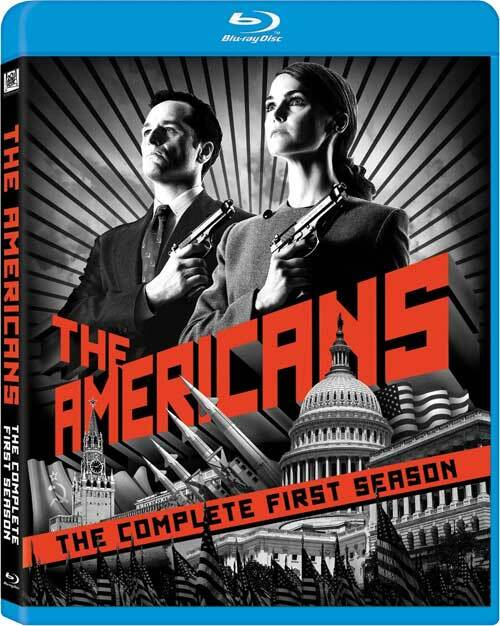 The Americans: The Complete First Season is available now on DVD and Blu-ray. Bonus features include two fascinating featurettes that give historical perspective to the series; commentary on the season finale episode “The Colonel” featuring Weisberg, Fields and Emmerich; a gag reel; and deleted scenes. Season 2 of The Americans premieres on FX Wednesday February 26.